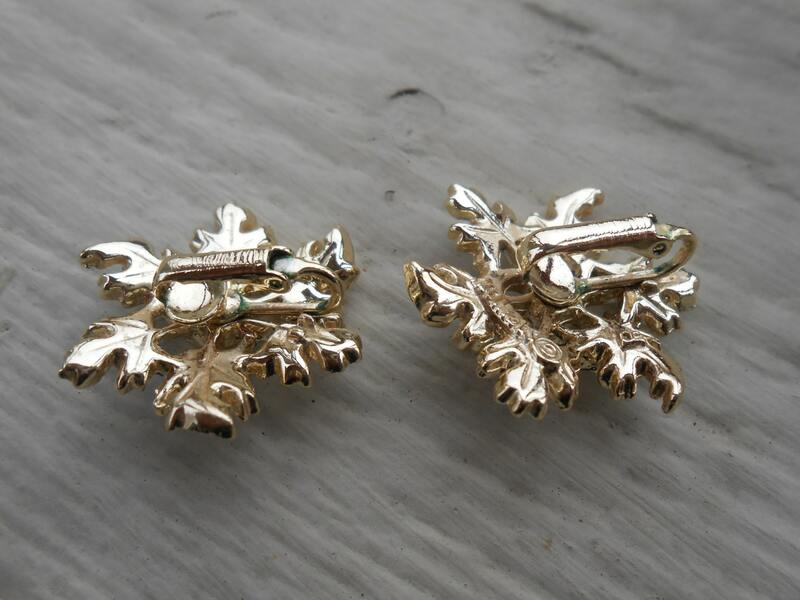 Vintage Snowflake Earrings. Clip On. Wedding, Mom, Anniversary, Gift. Winter, Frozen. These vintage, clip-on earrings are really unique!. 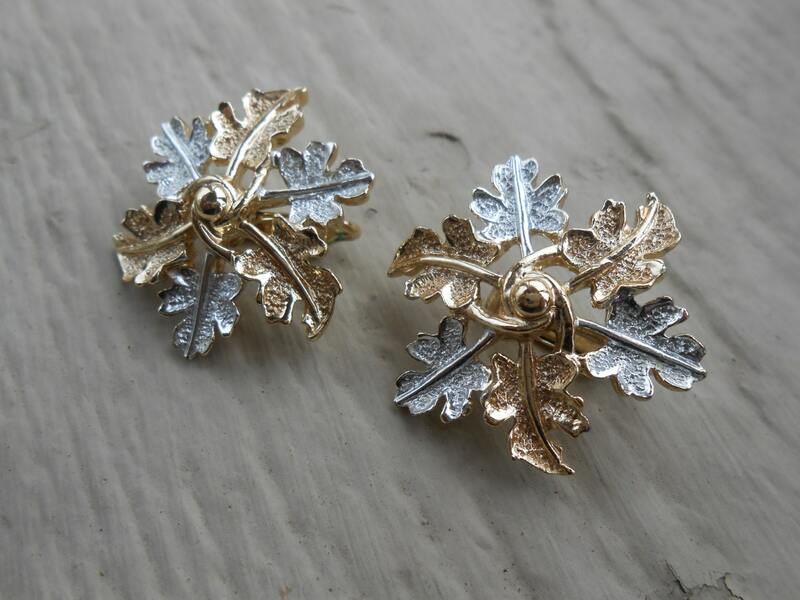 They have each have 6 leaves, and the stems are wound around the center point, creating a snowflake design. Very cool! 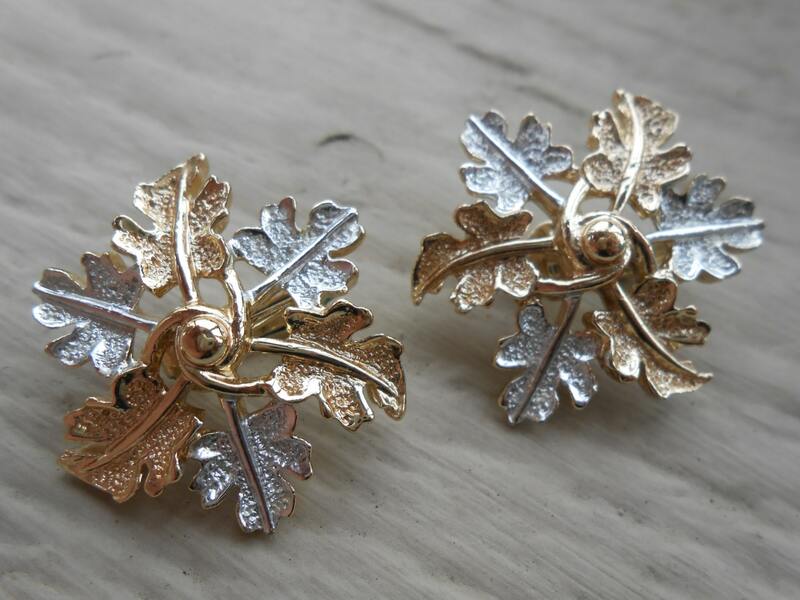 I think the leaves are oak leaves. They are a silver and gold color. These were made in the 1980s and are in good condition. 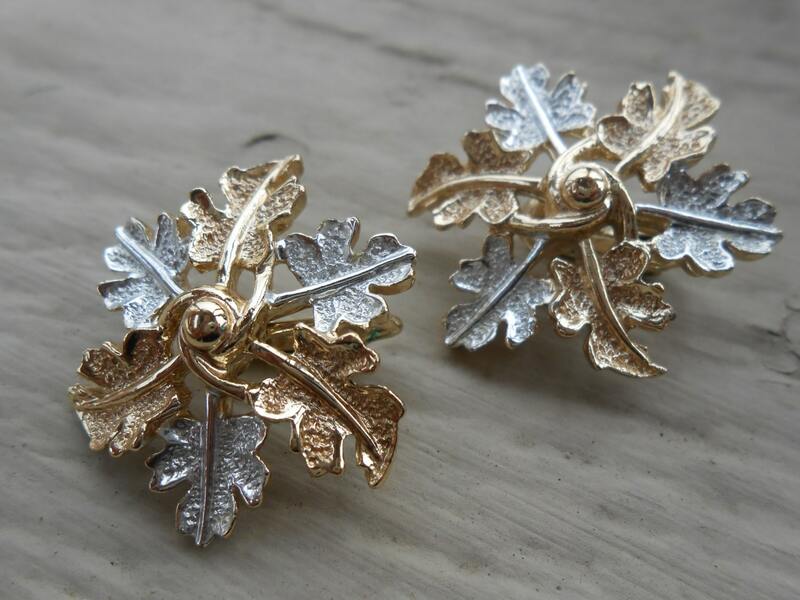 The earrings measure 1 1/4". 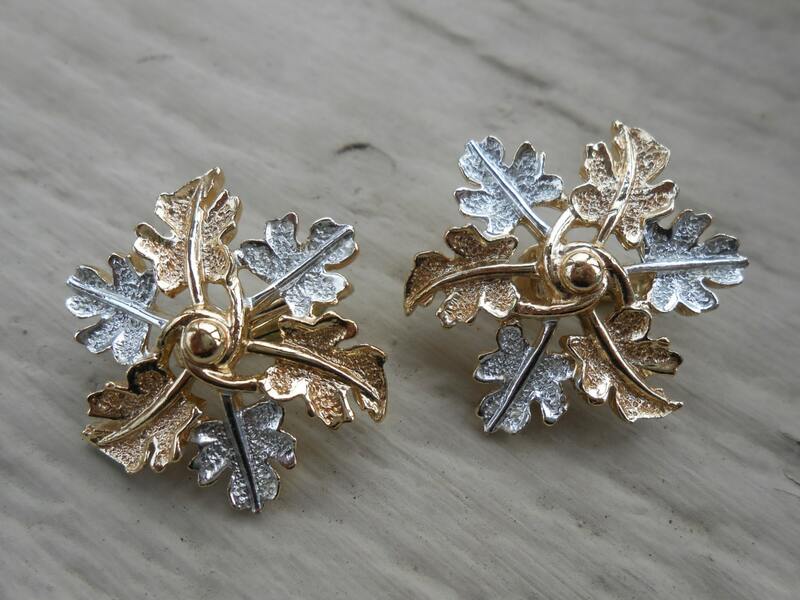 This listing is for one pair of clip-on earrings. Please let me know if you have any questions.